Did you know you can now order your Deliveroo takeaway from La Fromagerie here on View? 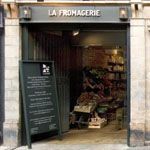 La Fromagerie is a renowned cheese shop that also has tasting sessions where customers can enjoy the cheeses on offer as well as a quality array of wines. Do you work at La Fromagerie? 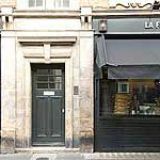 What did you think of La Fromagerie? This is a brilliant place - a small cafe / deli just off Marylebone with a delightful but admittedly expensive menu. Get your reviewers down here, you won't regret it! Such a nice cheese shop! The variety is easily the best I have seen before, from tasty mild cheeses all the way up to strong blues. 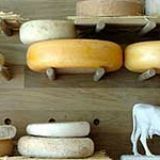 The attention to different cheeses from other animals such as goats and sheep is all very decent! Easily the best cheese shop I have ever been in, La Fromagerie has a very extensive selection of all types and varieties of cheese. I adore soft cheeses and the varieties here are easily the best I have seen without having to order them off the net. The brie de meaux is simply the best cheese I have ever tried. Once you try La Fromagerie out you won’t bother buying cheese from anywhere else I promise! I stopped by La Fromagerie on my last day in London with a friend. What a fantastic venue. the huge cheese store in the front and this lovely cafe in the back. Only had tea and cheese plate, but it was done beautifully although the wait staff were a little rude.